Whether it's improving leadership skills, staying abreast of industry standards, or preparing for a new role, everyone has their distinct reasons for participating in NAFOA's Professional Development programs. Our portfolio of programs enables you to reach your personal and professional goals. Entering its 10 year of operation, the Tribal Financial Managers Certificate (TFMC) Program is a collaboration among NAFOA, Arizona State University’s American Indian Policy Institute, and Thunderbird School of Global Management. The program is designed to equip tribal government accountants, budget and grant managers, and tribal administrative staff with the tools to support or manage tribal financial departments, as well as provide leading information on industry standards and new innovations. You will join a talented group of finance and administrative professionals for a three-day program on campus at Arizona State University in Tempe, AZ. The Introductory to Tribal Finance and Accounting Program is a collaboration among NAFOA, Oklahoma Tribal Finance Consortium and Oklahoma State University (OSU) Spears School of Business. The program provides an introduction to tribal financial topics including, grants management, budgeting, and accounting and covers content specific to Oklahoma including, federal Indian law principles. The course is designed for Oklahoma-based tribal finance and administrative professionals. You will join a talented group of Oklahoma-based finance and administrative professionals for a five-day program on campus at OSU Spears School of Business in Stillwater, OK. 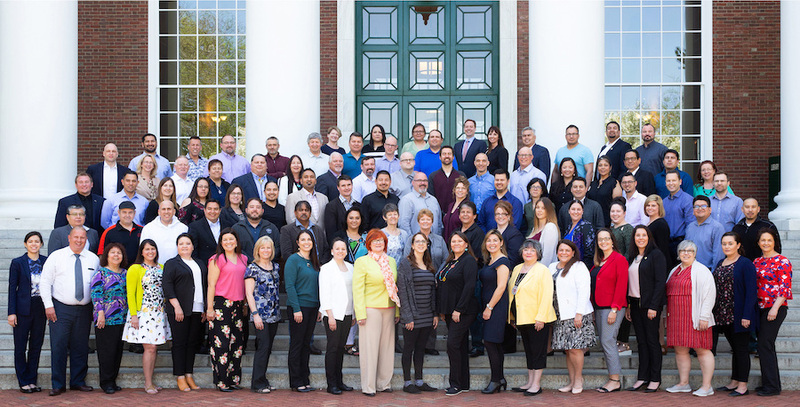 Leading People and Investing to Build Sustainable Communities (LPIBSC) is a collaboration among Harvard Business School (HBS), NAFOA, NCAI and AFOA Canada. Its mission is to inspire Native finance professionals and leaders, as well as equip them with the tools to lead high-performing, innovative communities or organizations. Developed under the guidance of HBS Executive Education, LPIBSC is the only Executive Education program of its kind in North America. You will join a talented group of executive professionals from Canada and the United for five days on campus at HBS in Boston, MA. Admission to the program is highly competitive.